Duct mount relative humidity transmitter, 4 to 20 mA. Duct mount relative humidity transmitter, 0 to 1 volt output. Duct mount relative humidity transmitter, 0 to 5 volt output. Duct mount relative humidity transmitter, 0 to 10 volt output. 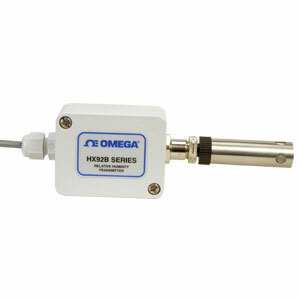 Spare duct mount kit for HX92B Duct Mount and Remote Probe models. Noter: Comes complete with Quick Start Manual.